began in 2001 when Rick and Margo Lybbert decided that they wanted to build a home on a private water ski lake. Because this type of property did not exist in the state of Utah, they began looking for land where they could build their own lake. In 2003, they were given the opportunity to participate as volunteer boat drivers in the National Abilities Center adaptive ski program for people with disabilities. Rick and Margo found the experience to be both fun and rewarding; however, the rough and unpredictable water of Utah Lake was less than ideal for a program of this nature. They felt a protected site that provided smooth water and convenient access could maximize the program. Subsequently, the vision of their project expanded to include an adaptive water ski program in addition to a place where they could build a home. The intensity of their search increased over the next three years. While several pieces of land initially appeared feasible, one by one, each was found to be unsatisfactory. By this time, they had spent hundreds of hours on this project with no apparent progress. 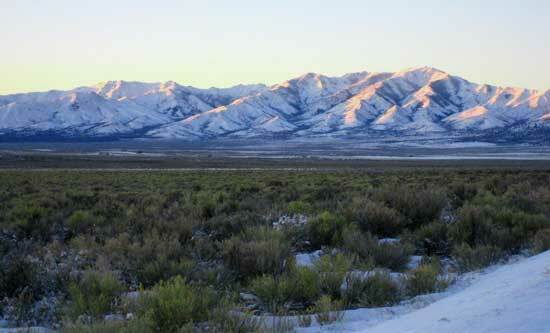 Finally, in August 2006, Rick was introduced to 80 acres near the town of Vernon in Tooele County. While it was clear that there would be many hurdles with this particular piece of land, they proceeded forward with the feeling that they would give one last effort to make this project come to fruition. Thus, came the name, Last Chance Lakes. It quickly became clear that the cost to build the lake would far exceed what the Lybbert’s personal budget would allow. Subsequently, they explored the possibility of changing the zoning and subdividing the land so that lot sales could finance the construction of the lake. Fortunately, the planners of Tooele County liked the idea and approved the project. In addition to zone change and subdivision approval, other hurdles in the planning process included obtaining permission from the Bureau of Land Management to improve the access road to the property, obtaining an easement from Tooele City to cross their property with a power and water line, purchasing sufficient water rights to fill the lakes, receiving approval from the state of Utah to utilize the water to create lakes, obtaining permission to move a stream that crossed through the property, and obtaining approval from Utah State Dam Safety to build a dam to create the lakes. After approximately 16 months in the approval process, the Last Chance Lakes subdivision was recorded in December 2007. Early in 2007, Cody Larkin, co-owner of Salt Lake General Contracting, heard about the project and approached Rick about constructing the lakes and subdivision. In addition to specializing in large earth moving projects, it had also been a long time goal of Cody’s to build a lake, as well. After final approval and recordation of the plat in December 2007, Cody’s construction company and Rick’s development company partnered to ensure that Last Chance Lakes would be a development of the highest caliber, while maintaining the original vision and purpose. Lake construction began in early January, 2008 and was completed August 1st. Water entered the lake for the first time on August 4th, 2008, during a ceremonial valve opening party. The lakes continued to fill over the next three and a half months. Rick, Margo, Cody, and several lot owners and friends including Dan Lybbert, Jacquie Lybbert, Kent Montgomery, Derek Montgomery, Mike Zufelt and Jason Erskine christened the Lakes with their first ski rides on October 30th, 2008. The air temperature was 70 degrees, the water temperature was 54 degrees, and the lake was glass.